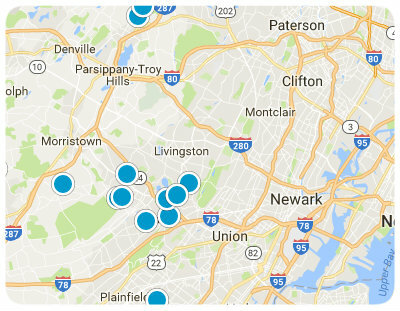 If you’re in the market for a new house, you may want to pay a visit to Westfield, New Jersey, in Union County. Westfield’s residents enjoy living in a charming community that can be described as a cross between a bustling city and a small town. Westfield is divided by train tracks and home to just over 30,000 residents. You will find pricier homes on the north side where tree-lined streets lead to beautiful estates. Also available are small ranches and Cape Cods. Rest assured, there is a home-type for everyone, including new multi-family properties. And with a commute to the city that is under an hour, it is an attractive choice for home buyers across all demographics. Transplants from Manhattan love the family-friendly feel of the Westfield community. There is much to enjoy in Westfield’s vibrant downtown, where you’ll not only find the usual chain stores but highly rated local restaurants and fantastic window shopping as well. If it’s fresh groceries you’re looking for, the farmers market held every Saturday is sure to fulfill that need. Not only does this fine community boast great shopping opportunities, but it is also rich with entertainment. For example, you may tickle your fine arts fancy with Westfield’s orchestra or community theater. There are many other music and arts events as well, including a summer jazz series, where you’ll listen to music under the stars. Or if you’d rather escape to the air-conditioning, The Rialto is Westfield’s movie theater. Furthermore, Westfield is home to a number of splendid options for outdoor recreation, in addition to boasting several points of historical and cultural interest. At Mindowaskin Park, one of Westfield’s nine parks, tiles commemorate Theodore Roosevelt’s presidential campaign visit to Westfield in 1912. Meanwhile, the cartoonist Charles Addams, who grew up in Westfield, is thought to have modeled the Addams Family house after his family’s home in Westfield. These are only a few of this delightful community’s intriguing features, which is why it is a must-consider destination for prospective homebuyers in Northern New Jersey. If it’s a sense of real community you’re looking for, Westfield might just be the choice for you, so please don’t hesitate to contact us today to find out more about buying a home in Westfield, New Jersey.